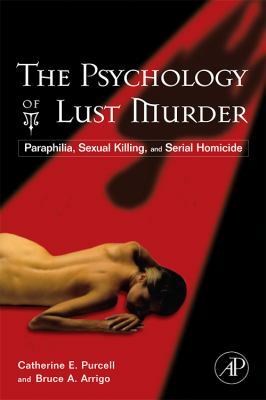 by Arrigo, Bruce A., Purcell, Catherine E.
Arrigo, Bruce A., Purcell, Catherine E.
Examining the phenomenon of paraphilia in relationship to the crime of lust murder, this book synthesises relevant theories on sexual homicide and serial killing. It also gives practical suggestions linked to clinical prevention, diagnosis, and treatment strategies; police training, profiling, and apprehension efforts.Arrigo, Bruce A. is the author of 'Psychology of Lust Murder Paraphilia, Sexual Killing, And Serial Homicide', published 2006 under ISBN 9780123705105 and ISBN 012370510X. Loading marketplace prices 10 copies from $65.78 How does the rental process work?